Sometimes you have to throw your balls over your shoulder and charge into fire. Although not a direct quote, but close, from a childhood favorite called Ed and his Dead mother, Jennifer Lawrence did just that. If it is obvious say that the Academy Award winning actress would deliver less than a stellar performance, then I have no idea what movie people are watching. 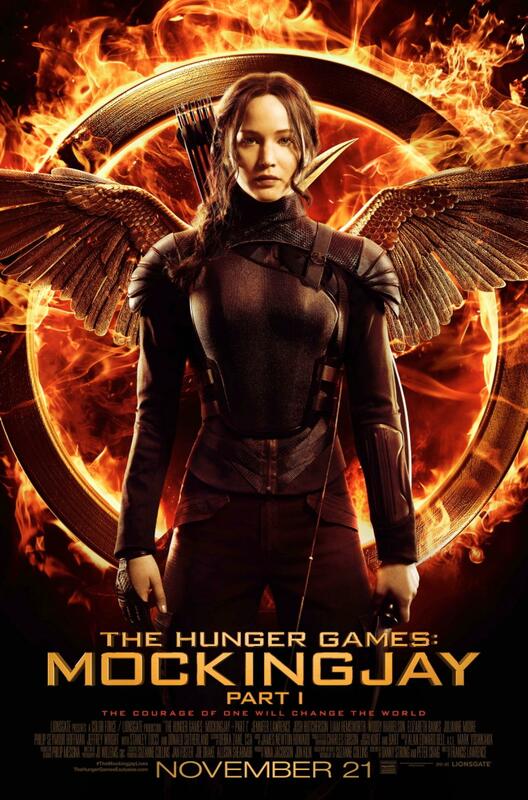 The movie is based on the hit selling book series, of the same name The Hunger Games, about a young lady named Katniss Everdeen. 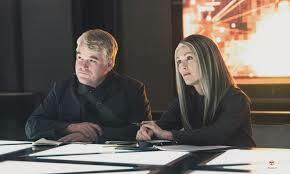 In this movie, however, she is propelled into the beginning of a civil war with the Emperor Papaltine-like President Snow, played by Sutherland, and The Capitol. After the games were destroyed in Catching Fire, Katniss finds out that District 12 was destroyed. 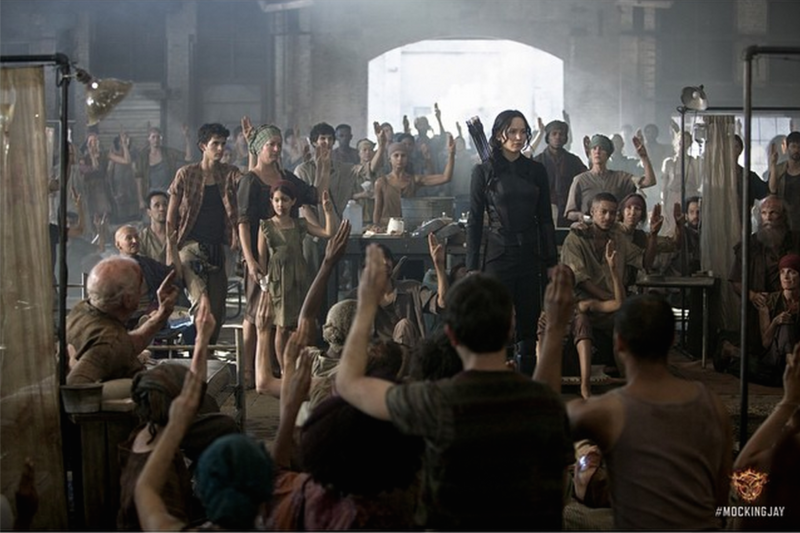 She finds refugee in District 13 with a band of rebels trying to unite the districts and wage war against the Capitol. Led by Multi-time Academy Award nominated Julieanne Moore as President Alma Coin and the late Academy award winner for Capote, Philip Seymour Hoffman as Plutarch Heavensbee. 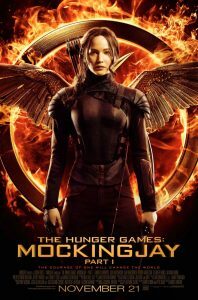 Being backed by Gale, Liam Hemsworth – if he looks familar because he is Thors younger brother, Haymitch, Academy Award nominated Woody Harrelson, and Effie, and Elizabeth Banks help Katniss as she becomes the symbol of the Rebel Alliance – The Mocking Jay. I found the moving very refreshing of a big budget film to tackle many issues as it did. 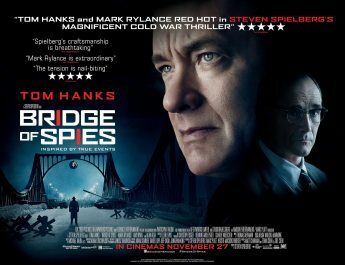 The movie seemed to symbolize what is happening in the America today. You have the easily led just following a power-hungry governement fighting against the people that made it. 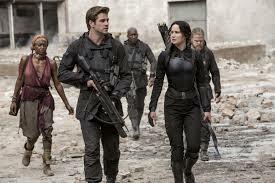 Then you have Katniss and a band of rebels trying to jumpstart common sense back into the system. If you want change, you will have to fight for what you want. I, as well as others, can relate to this topic which is why you have it as reoccurring theme in so many movies now! Jennifer Lawrence delivered a smoking hot performance that felt very organic. It was a Christian Bale or Heath Ledger like performance when it wasn’t them but the characters on the screen. what is wrong. 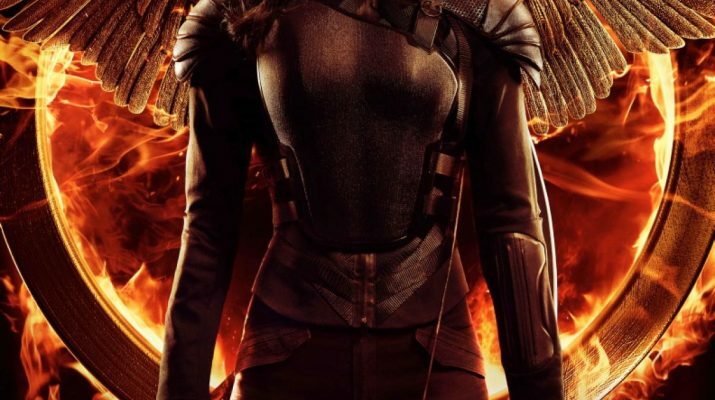 Once again, it wasn’t Jennifer but Katniss embracing the screen sucking you into her longing for freedom and the atrocities done by the Capitol. I absolutely love “The Hanging Tree.” You can google it. It is awesome. I also heard that it is top of the iTunes charts. If you have any interest, then click on iTunes to go purchase your copy. In conclusion, the movie is draped with just enough political intrigue for the thinking person. It is colored with enough Michael Bay type action for the exscape artist. It is a truly wonderful movie that is compelling at every turn. It engages the viewer to think what about what is happening. 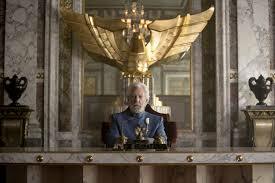 One would have to make a decision to either be on the side of Capitol or join Katiniss in her fight. What Now? Record Setting and Non Stop Laughter! Kevin Hart the little BIG Mogul!!! 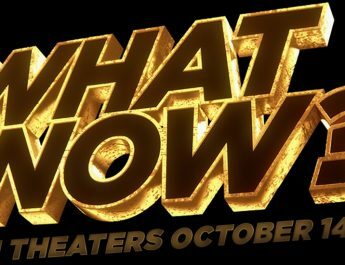 ">What Now? Record Setting and Non Stop Laughter! Kevin Hart the little BIG Mogul!!! Yoga Hosers It's the Wurst! 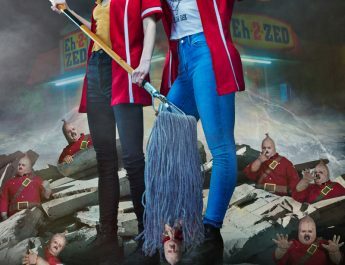 ">Yoga Hosers It's the Wurst!